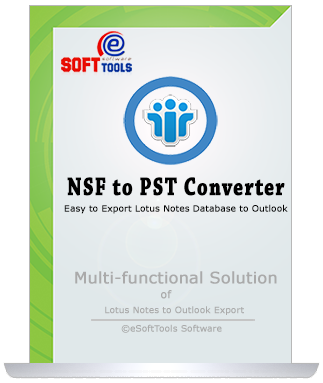 Expand Lotus Notes Database (*.nsf) with Proficient NSF Converter Tool and successfully export Lotus Notes to Outlook PST, EML, MSG & many other formats. 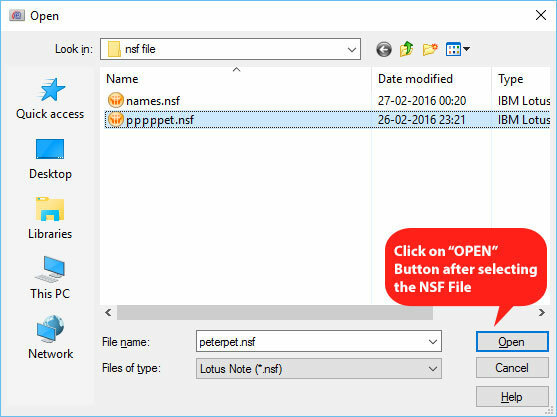 Migrate Lotus Notes to MS Outlook PST, EML & MSG files. Migrate NSF email, sent items, drafts, appointments, contacts, to PST file. For Notes Address Book Converter- Ability to export Notes Contacts to Outlook and CSV Excel file. Preserve email properties, formatting and structure. Selective Folder Conversion- Precisely designed Notes to Outlook Converter helps to export selected folder from Notes to Outlook, EML or MSG format. Lotus Notes to Outlook converter supports to Export Unicode characters. Support every version of Lotus Notes databases. Demo version software export 25 items from each folder from NSF to PST, NSF to EML and NSF to MSG files. Prominent features & Benifits enabled NSF Converter tool to Convert NSF to PST, EML & MSG files. Export Notes Emails with Attachments to Outlook PST file. Export Notes Emails embedded images. Convert Contact Groups to Outlook. Additional way to Export Notes Contacts to Outlook & CSV Excel file. 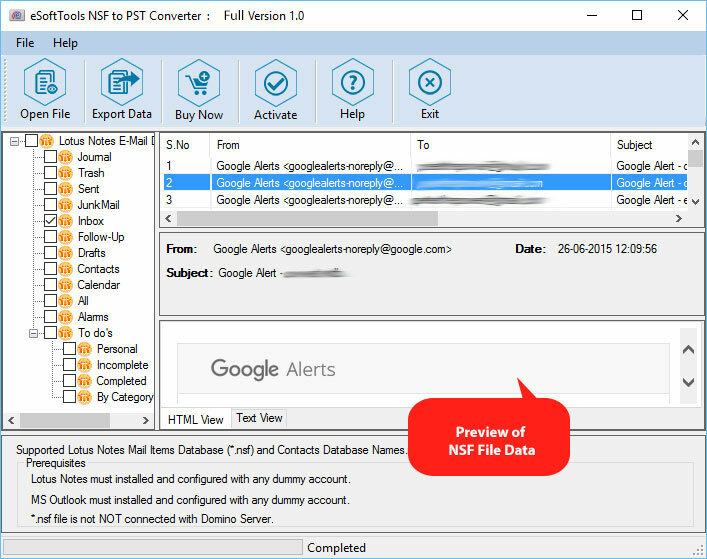 Split Feature - Availibility to split resultant PST file during NSF conversion. Facilitates to export nsf emails of selective items. Download superlative functionality based NSF Conversion Software and export 25 email items from each folder of NSF to PST. Outlook 2016, 2013, 2010, 2007, 2003 and 2000 files. Software Preview of NSF Converter Tool & Software. Have your software some requirements to download? Actually i need only NSF contacts and attachemnts into Outlook, so is it poosible with your software? I have Outlook 2010 version and i need conversion from my Lotus Notes emails into Outlook 2010, so is any problem to do this conversion from your software? No software gives you immediate and perfect conversion of Lotus Notes to Outlook 2010 file. Software supported whole versions of Lotus Notes and Outlook file with all latest versions. Can i export selective NSF email into PST? 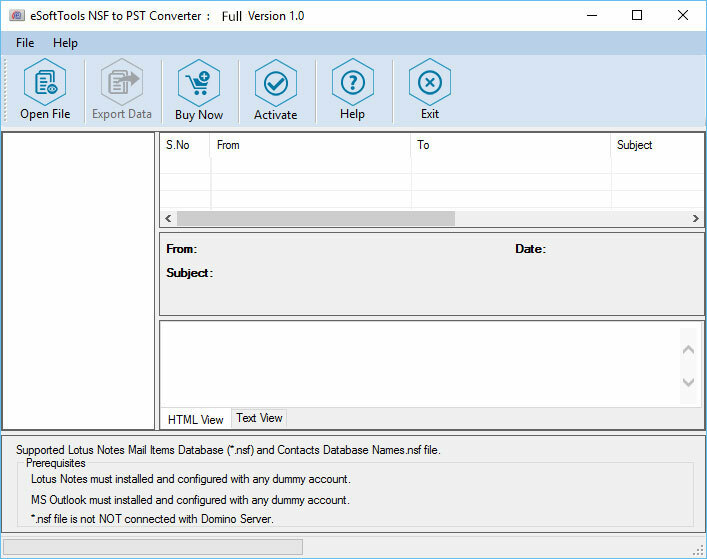 Am very happy to use NSF converter tool, i just want to say everyone that if they required for NSF conversion, so choose eSoftTools NSF conversion. © Copyright 2019. eSoftTools Software. All right reserved.